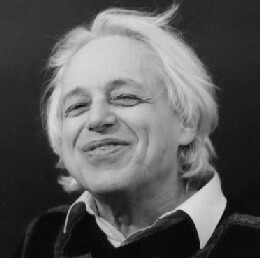 György Sándor Ligeti (May 28, 1923–June 12, 2006) was a Jewish Hungarian composer born in Romania who later became an Austrian citizen. Many of his works are well known in classical music circles, but among the general public, he is probably best known for his opera Le Grand Macabre and the various pieces which feature prominently in the Stanley Kubrick films 2001: A Space Odyssey, The Shining, and Eyes Wide Shut. This page was last modified on 13 December 2010, at 16:55.